Looking for that perfect Toyota vehicle around Avon, Indianapolis, and Plainfield? Whether you’re looking for a sedan or a truck, our team at Andy Mohr Toyota wants to help you find the car that meets all of your requirements. Maybe you already know what model you want. If so, that’s great! Still, did you know that most models have multiple trim levels, each of which comes with different features and specs? If you’re unfamiliar with these, don’t worry—we’ll help you navigate your way around them! 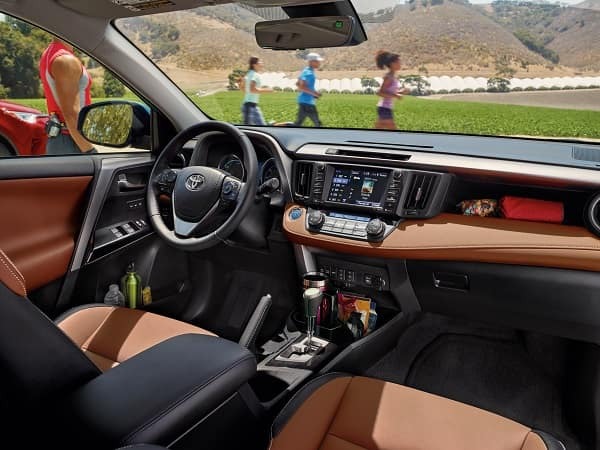 Our provided reviews make it easy to learn more about Toyota trim levels. You’ll read about the differences between each trim and any upgrades that relate to the vehicle’s appearance, features, safety technology, engine configurations, and more. We’ll look at the base trim to start, giving you an idea of what features you can expect to come standard. From there, we’ll look at mid- and top-level trims, and what they have to offer over the base model. You’ll notice that more and more features become available as you explore higher trims, and you’ll be able to choose the configuration that meets your preferences and requirements. Are you ready to learn more about that vehicle you’ve had your eye on? Simply click on the model you want to read about. From there, you’ll be able to familiarize yourself with its different trims. Keep in mind that although we do offer a helpful overview, it’s still important to do your own research. After all, only you know exactly what you’re looking for in your next vehicle. While you’re reading through Toyota trim level reviews, you might have a couple of questions. If this is the case, we encourage you to reach out to our team at Andy Mohr Toyota. Our experts will be happy to assist you in any way we can! We’re also more than happy to schedule a test drive for you. We’re proud to serve Avon, Indianapolis, and Plainfield—and we’ll be proud to serve you, too!